This challenge can be overcome by taking a well-informed decision for choosing the best mobile app development company. Finding and hiring a correct mobile app development team can be an unnerving task. But with secure and value added mobile app development, comes the opportunity of maximizing the revenue for your app business. That why it is essential to take a little pain and find and hire a right mobile app development company to create your dream app. Sometimes it is necessary to make the choice depending on the services offered by the app development company. If you are looking for iPhone app developers, you should look for a leading iPhone app development company. If your idea needs Android app developer then you should scan among Android app development companies. There are some app development companies, which offers both iPhone development services and Android development services. Now how to do that? Where to start with? We will try to answer such questions when they peep in while choosing a right and efficient mobile app development partner. You can start your background check by screening and studying the company’s portfolio. It should give you a clear idea about the work that they have done previously. The portfolio will showcase their UI/UX skills and will throw a light on which domains they have worked already. The portfolio will let you know whether the app development company has got the exposure of developing apps in your business domain or not. Even if the company has not developed any app in the domain, which you are looking for, the range of different mobile apps will give you an idea about their capability in doing app development projects in various domains, which makes them eligible to develop the mobile app in any business domain. The very next question that you should ask is whether they will deliver in time? Yes before assigning the project to the mobile app development company, you need to ensure that they have the reputation of delivering apps on time. For this, you need to understand their project management process. It’s good if they offer you a full-time and dedicated Project Manager for your project. So that you can connect with the Project Manager and get the updates regarding the progress of the project. Also check what kind of project delivery process, they are going to follow? It’s always good to go with milestones based delivery so that you will have the track of regular development being done and the project has the further scope to add any additional functionality at the later level which is beneficial for the project. These points will help you analyze whether the working model of the company matches with your expectations. A good mobile app development company will always allow you to track the progress and results. The experience of designers and developers matters to the project. If the development charges offered by the company is too good to be believed then it is the indication that they are having inexperienced developers. Experienced designers and developers are required for a good level of craftsmanship, which is required to build a high-quality app with powerful functionalities and visual appeal. So check for how long the company is into the business and the experience of their developers. The time they have spent in the market and industry also speaks about their experience in handling complex projects and delivering quality products. It is always good to work with those who values relationship, this way both you and the mobile app developer will enjoy working with each other and take the project forward with mutual understanding. If both of you share a good professional bond, you can retain the same mobile app development company for all your technology needs. 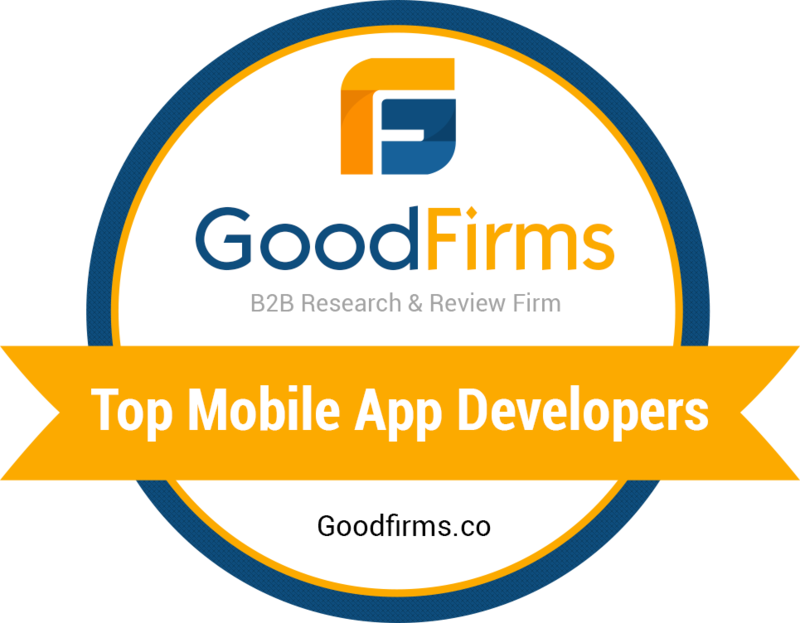 It will save your time to find the resources every time you need mobile app developers. Another advantage of having a strong and valuable bond between both of you is that the app development company can even refer your business to others. Krify Software Technologies is one such leading Web and Mobile App Development Company based in India and UK, which fits best in all the above-mentioned points and delivers world class mobile apps and web apps. Our portfolio displays the range of domains, which we have served with our website development services and mobile app development services. We are pioneer in services like iPhone app development and Android app development. Contact us today for a consultative approach towards an innovative app idea that you might be thinking to change into reality. Leave your query here and one of our Business Analyst will get in touch with you. Google recently launched a low-code app development tool called App Maker i.e. on 30th November 2016. It is a new milestone in the path of empowering developers to build powerful apps for businesses. It allows building customized mobile apps for your business in an easy and secure way using the same platform that strengthens G Suite. Although Google already has a tool for building apps on its cloud computing service for advanced developers, the new App Maker tool is for low-level developers to build simple yet powerful secure app for any business. It is not for kind of advanced code developers for software like Netflix’s video service or Uber’s ride-hailing app. App Maker has been launched with an intention to simplify the process of making a business app. This can be done using pre-built Google templates and it also synchronizes and work well with G-Suite apps like email, calendar, Google documents, etc. App Maker is another way to facilitate the transition to the next phase where there is the rise of mobile apps. Businesses are going mobile to engage and serve bigger consumer base. Internet Research suggests that 85% of consumers prefer mobile apps for services over websites or mobile sites. What Google App Maker Offers? Google App Maker provides an opportunity for enterprises to create internal apps. These internal apps will empower small and medium-sized enterprises to fulfill their tasks, maintain their internal records and offer better customer care services. The plus point is that App Maker allows development of an app at a really fast pace so that your journey from an idea to the app will be of just a few days. Another highlight of App Maker is that its simple and easy to use tool which is nothing but a drag and drop mechanic that lets you design your app really fast. It comes with the power packed features like scripting editor, customized script support and a cloud platform. Thus it provides an overall coding support to developers and helps build an app with minimal coding efforts. For whom App Maker is for? App Maker is for mobile app development for entry-level businesses. It also helps in mobile app development for small or medium sized enterprises. No matter how small or big the business is, App Maker has it all to provide necessary tools for building mobile apps for all sizes of enterprises. App Maker can be used by all those who uses G Suite, called as Google Apps for Work. These apps make it possible for its users to manage collaboration, productivity and cloud computing. App Maker is an easy to use platform that helps to create apps with a good user interface in alignment with G Suite. Apps built with App Maker will be compatible with all devices like phones, desktop and tablets. To build an app with App Maker, you need a browser and its easy drag-n-drop functionality facilitates to build a cloud-based app at a very fast pace. Also, it comes with the promise of performance, stable data integrity and scalability i.e. apps can scale easily from one to many users. Google has also launched ‘Digital Unlocked’ for helping millions of small and medium businesses in India to go online and grow their business digitally. Krify is a multinational IT solutions provider based in India and UK. Our core competency includes the mobile app, web app development and digital marketing. Contact us today to start the digital journey of your business. If you are a novice to Digital world and not sure how to make your business go online, we are here to provide you a free consultation to bring the power of the digital world to your business and expand your business’ visibility at the global level. IDLE (Integrated Development and Learning Environment) is an IDE for Python bundled with the default implementation of the language. Python for RPi is cross-platform, it avoids feature clutter. It's highlighting features are multi-window text editor with syntax highlighting, autocompletion, persistent breakpoints, Python shell with syntax highlighting and call stack visibility. Raspbian comes with both Python version 3 and 4 Installed. Mobile application development technologies are evolving rapidly with the evolution in mobile device technology. It may sound a bit early to predict the app trends in 2017, but the trends are already clear with the booming growth of technology seen in 2016. Also, the design trends evolve and change with the time and technology. New mobile design trends 2017 are already making a buzz among mobile app designers and developers. The evolution of the mobile app development trend happens due to the constantly evolving requirements of the end users. As we are in the last quarter of the year 2016, let’s see what is trending in the world of mobile app development. Ionic, Angular JS, PhoneGap, Cordova, are names of only a few technologies that can help augment the hybrid app development in future. With the increasing popularity of hybrid app development platforms, Google’s Material Design too is getting evolved to support application development for different platforms like Windows Phone. Cross-platform applications are more in demand due to the Bring Your Own Device (BYOD) culture being adopted by most of the companies. With the development of mobile app industry, security concerns and threats to the apps have also grown. In the World Wide Developers Conference, Apple announced that they will be incorporating the robust App Transport Security (ATS) for all iOS applications. Stronger data encryption can help to get new improved and more secure apps. For this, Google is trying with more stringent app permissions model and security updates. Mobile app designs and UX is nevertheless the key factor responsible for the success or failure of the mobile app. Visually appealing app designs and user-friendly UX attracts visitors and engage users. For best and intuitive user experience, the mobile app should be designed keeping latest app design trends in mind. The new design trends in 2017 will surely be things like grid-based interface designing, split-screens, visuals, splash, parallax graphics, micro interactions, etc. Giant messaging apps like Facebook, which is popular in the United States, and WeChat, which has more than 500 million users, are in huge demands. As 2017 approaches, the trend of messaging apps are going to be even popular and many more messaging apps are expected to be launched in app stores. Cloud support allows developers to deal with memory issues and bandwidth management, thus helping in retaining the small size of mobile apps. It also allows developers to sync their apps with multiple devices. This function becomes important with advent of wearable gadgets like Samsung Gear and Apple Watch. Mobile devices and wearable devices can sync easily for their apps and app extensions, due to cloud compatibility. Thus, many of the future mobile apps are said to be driven by the cloud. Our homes are already being occupied by smart TVs, smart washing machines and smart refrigerators. The information is being exchanged between appliances and mobile apps. The same concept is emerging for a complete city giving rise to the term ‘Smart cities’. As India is on the verge of developing smart cities, smart and advanced technologies are being inculcated to make things happen. All the futuristic appliances are being engineered with smart integrations. Thus IoT applications are going to be an important part of business strategy for most of the mobile app development companies in India and across the world. Throughout 2016, location-based services (LBS) are predominantly defining the GPS based mobile apps. Apps like restaurant booking apps, taxi booking apps, apps for on-demand services like plumbers, carpenters, electricians, etc. In coming future, each and every utility service is going to use GPS based mobile apps to target potential customers. The market for mobile apps, which is already big, is going to grow and will become even bigger. Already the number of mobile apps in major app markets like Android Play Store and iOS App Store have reached the figure of 2 billion. As per the survey, 46 percent of mobile app users have used paid services of their apps. So by 2017, billions of downloads will generate around $77 billion of revenue. At Krify, we are constantly following the updates in mobile app development trends and create robust applications to compete and deliver the best to survive and excel in the competition of the market. Make sure about the tools that you are using to create content like any CMS (content management system) development such as WordPress. The resource for content creation should also be certain either your own writing staff or hiring content writing services. You should have a good analytics software to track and measure your content like Google Analytics, Kissmetrics, etc. Yes, content marketing sounds like too much of work but it is crucial and worth for the amount of time and effort spent on crafting the strategy and executing it. Blindly publishing a ton of content is not the right way, you need to define your goals, plan tactics and then proceed with your strategy. And yes, effective content marketing should involve testing and tweaking – continuous diligence brings more awareness, brand impact and profit. Krify is a multinational Web, Mobile App Development and Digital Marketing Solutions Company. Are you looking for developing effective content or strategizing content marketing for your business? Contact our Content Marketing expert now for the consultation and complete content marketing strategy, to achieve your business goals. Considering the recent investment patterns coming out from the venture capital firms and also the statistics mentioned above regarding on-demand economy, it gives a positive prediction that on-demand economy is here to stay. The on-demand app economy allows you to use it to order anything at the time, when you need it the most. Food delivery, package delivery, ride to a place, helping some other person to build bookshelves, booking a spontaneous getaway, today’s advanced app technology and app economy has got covered many things that has made consumer’s life easy, where they can rely on powerful on-demand apps for finishing their daily chores as well as special needs. The concept of Uber was not fully recognised initially even by tech gurus. But today Uber has become the leading player in the on-demand world. But merely copying the Uber model and implementing it in various segments of different industries may not help. In reality, the term ‘Uber for X, Uber for Y, Uber for Z’ 'Uberification' of everything, are being used, but the Uber model may or may not be fit for each and every domain. It is time to make changes in the business model that will help to beat the competition where consumers want to get everything on demand by simply tapping on their smartphones. The on-demand economy has so far proving to be good for consumers, service providers including technology platforms. The appetite for food delivery has never been so great as it can be seen in the year 2016, which is evident from the immense growth in takeaway food and home delivery sector, such that it is outpacing the restaurant industry. This is all due to consumers’ priority to the convenience and ease that on-demand food delivery offers. Depending on the psychology of convenience, the research on convenience has identified the following types of convenience that people find with on-demand food delivery app. – Users can make it even faster when they go for re-purchase. User’s address, payment details, favourite things to re-order can be bookmarked for next easy food order. Another facet to on-demand food delivery business is that some of the food start-ups in Asia, Europe and the US have failed. The prime reason behind such failures is the complexity involved with the three-sided business model that needs to satisfy consumers, restaurants, and couriers. So this is the high time and now the market will see the major shift in the way consumers are buying and consuming food. Google released a new smart messaging app, Google Allo. Lets get familiarised with the Google Allo. It is a smartest messaging application that supports you to say more with your loved once – express more effectively and do more than just using words. Express yourself dramatically with stickers, doodles, and HUGE emojis & text. Allo also brings you the Google Assistant, only preview edition for now. What is Google Allo's Smart Reply? Smart Reply works with simple taps i.e. you can reply to messages with a single tap, which offers you to send a quick repliy. For Instance you want to send “yup” in answer to a friend asking for “Are you coming out?”. You can do this with a single tap. Liked this speed? What Google Allo offers you for using pictures/stickers during conversations? Google Allo is amusing product from Google for nonstop chat support through exchanging text, pictures, stickers and many more texting style and speed, that can be chosen based on your personality through customisation and edit support. Personalised Google Assistant for you: Google Assistant can perform actions for you as per your need, based on live conversation with you about your friends. For instance, it can help you to grab an address with help of '@google' to assist you within the chat, either group or direct. What features you can fetch through Google Allo as users? Turn your pictures into the smart work of art. Make your own perfect sticker to express and share with your dear ones. One-on-one text is possible with Google #Assistant bot, for any info. Share everything using Google Assistant, whenever you want it. Chat in incognito mode (private mode). Text formatting and more advanced features. End to End Selective encryption. Searches are possible now In-message. Who can develop apps similar to Google Allo? Krify houses an expert team of Mobile Apps Developers who are following their passion towards developing iOS, Windows, Android and Cross platform apps. Krify offers mobile app development with Krify's own server integrations using the Open source servers and protocol in, for you. Get in touch to start with developing mobile apps now…. "One of the leading brands of the gaming business, MSI has put these desires together to meet the real-time user experiences in the world with virtual reality. " Here they are presenting the latest creation of virtual reality with an all new gaming experience named as the Backpack PC. MSI (Micro-Star International) is impeccably ahead on meeting gamers’ desires using the MSI Backpack PC. The only need of introducing the Backpack PC is to become most up-to-date solutions for extreme gamers for playing games. Yes! As you can see this Backpack PC is literally built to be worn on the back of you. Check out the experience in the below video. VR experts are promising that you can get the premium experience while using the VR Backpack devices for gaming, anywhere you like - Tokyo Games Show. The backpack looks like a much-enhanced render of an angry Transformer officially called as armor design of braveness, highlights the power of mobility and says that its "muscle shape with smooth outlines fashion the look of a champion in the VR world. The backpack has the support of latest 3D UX/UI with the support of android studio and iOS gaming apps. MSI PC Backpack is a backpack with a covering made of plastic and metal system with Core i7-6700K processor, GTX 980 graphics card. Easy to connect your USB, HDMI, and your headphones connectors to be straddling on top of the backpack, so you can connect your VR glasses using a pair of short cables. However, the company did mention the potential for launch in the end-of-the year . "Krify has a team has eagerly waiting for the launch of MSI PC BackPack as techy lovers are eager to connect through the mobile and web app world." - Get in touch for converting your gaming idea into an interesting gaming app through mobile apps development now !! Note: Server provides different feature and services on different permissions and restrictions for user clients and admin clients. What is Server Space or Hosting Space? The server space or hosting space is a standard memory which techies use to host their web pages, data, information ... etc. that can be accessed globally. The global servers are managed by the hosting service providers like Krify, Godaddy, Hostgator, bluehost, and few more to store the global client’s data. “The future of computing defamation's in information storing, security like things. As computing proceeds a much more dynamic role few of #Internet of Things Expo’s already address the challenges going to be needed from where we are currently to this future.” Coming to XMPP: XMPP is an open-source IM protocol intended to permit interoperability between different Instant Messaging client programs. “Extensible Messaging and Presence protocol”, abbreviated as XMPP, is a communication protocol for message oriented middle-ware based on Extensible Markup Languages –XML, officially named as Jabber. Where Jabber is now extended with a mix of Erlang programming language to jabberd - XMPP application server, called as #ejabberd. All the operations in ejabber is to power-up XMPP to become a rock solid extensible XMPP Server. Social Chat trends Via Jabber - XMPP server features: Do you know top social messenger called what’s app is using XMPP for extensible communication between two are more people, more over the protocol has been used similarly for signaling for VoIP, video, gaming, file transfer, the Internet of Things (IoT) applications such as the smart grid and social networking services. XMPP offers support for social chat apps development. Some of the social chat app developers using same server are IMO, Skype, Google Talk, Ebuddy, AIM, ICQ, MSN Messenger, Yahoo! etc. All these works under the track of XMMP server as an Instant Messaging Client! Instant Messaging: It is a chatting approach between two or more individuals where the text is sent over the "Internet”. Group chat 1.0: XMMP facilitate multiple users to text at the same time with time synced in between different time zones. Advanced Message Processing: Progressive processing of XMPP communication sections include consistent data transport, time-sensitive conveyance and expiration of momentary messages. Byte stream can be both direct (peer-to-peer) or refereed (through a special purpose proxy server). The classic transport protocol used is TCP, with UDP to support optionally XMPP messaging. Entity Capabilities: The format has been kept as small as possible for standard XMPP transport mechanism for broadcasting the information that may be hidden either within a session or across sessions, on capabilities. Chat Notifications: The whole chat sessions includes possibilities of chat session with notifications like chat partner is actively engaged (online) in the chat, composing a message (Typing), temporarily paused, inactive, or gone (Offline). Service discovery: The identification of information can be discovered through capabilities the one to one entity and the multiple items associated with an entity chat groups. Feature Compromise: Manual customization helps the contextual feature options, such as accepting and denying the parameters of a file transfer or in communication sessions. Flexible Offline Communication: The XMPP allows users to retrieve its conversation (offline messages) when login in measured approach, without getting later retrieval flood of left messages from the server. User Location: XMPP provides interactive information with the identification of current geographical location (Maps Integration) on physical devices. Message Delivery Receipts: XMPP protocol provides message delivery receipts, whereby the dispatcher of a message can demand notification that the message has been delivered to a client - controlled by the future recipient. Latest XMPP trends of 2016 extensions are facilitating business to development of whats app kind of applications by using the XMPP servers and upcoming trends in chatting apps around the business corner is now available as open source, developed by the experienced chatting app developers. XMPP also provides calling feature with Android Apps and iOS Apps development using XMPP server integrations, using VOIP and SIP server protocols implementation on XMPP. Not Only for text messaging the Host XMPP-based live chats and WebRTC mix can facilitate the real video audio conversations right and conferences all without any additional software or plugins. Do you know XMPP Server trends is going to play a vital role in Internet Of Things? The Internet of Things is the record trending technology today that attitudes alongside wearable and robotics for it, through using XMPP extension called XAMPP. Confused? What is XMPP and what is XAMPP? Yes! There is a slight spelling difference between XAMPP & XMPP :P XAMPP is open source and free cross-platform web server solution stack package established by Apache. It includes Apache HTTP Server, MariaDB database and interpreters for scripts written in the PHP and PPL. Huff…! There are lot many things on and about servers, ask us we will help how to build up your business! How XMPP is important for your Business App? XMPP is providing a great way to connect businesses with everyone over the web by chat transpiration. Whatsapp kind of apps development, clone of hike app development, or an example is at the right side below corner, you’ll found a chat box ;) which connects us with you. Get connected online - chat with your own Database. Connect socially - text & call with anyone online. Share, Receive, Sync files online. Gamers can connect and play multiplayer games. The more you ask us, the more options you’ll get! Get in touch for your Social messaging apps development! New interesting gestures have been added to mobile apps with respect to user experience, usability and retention. It would not be wrong to say that implementation of gestures in the user experience of any mobile app is crucial for its success. To make the app more content-focused and improve speed and user interaction of the app and for better UI, we need to understand gestures in a better way. Gestures include touch mechanics and touch activities. Touch mechanics is something which your fingers do on the screen, it include: touch (tap), double touch, force touch, long press, long-press drag, drag, swipe or fling, pinch open, pinch closed, two-finger touch, two-finger long press, Two-finger long-press drag, two-finger drag, swipe or fling, two-finger double touch, rotate. Touch activities is the result of what is produced by touch mechanics. With the constant visible rise in number of smartphone users, designers need to go design better range of mobile gestures. The year 2016 has come to an end, but in 2017 we will continue to see innovative updates to already existing technology rather any new, big and splashy device wave. In 2016 we saw important technological breakthroughs, which has changed the way we live, play and work. In the coming time, technologies are going to continue in a same way that will automate every other task involved in our life. So what to expect in this New Year, here are some tech trends for 2017, which you should keep an eye on. Artificial Intelligence and Machine Learning: Rise and Shine of Human Capabilities by Machines In 2016, we saw huge advancements in artificial intelligence, but 2017 may deliver even more as we can see that AI has gone mainstream. Industry research firm Gartner has predicted AI as the number one strategic technology in 2017 too. In 2017, AI will bring the focus on how we will communicate with computers and other devices, how AI systems will interact with each other and how we, humans are going to interact with each other regarding AI systems. We can already see the impact of AI reaching to groups outside the tech industries. Artificial intelligence which includes machine learning, advanced analytics and cognitive interfaces will lead to making more intelligent enterprises and their departments. Right from marketing, IT, procurement, customer service, supply chain to finance to legal – all departments will be operating with more efficiencies. The processes can be faster along with greater precision and will help in preventing errors proactively. So, AI is going to change the way businesses interact with their customers as well as employees. AI will play an important role in gathering individual information, which can be used to improve products and start new services to create values for customers and employees at highly personal level. Intelligent apps going to dominate everywhere Technologies like virtual personal assistants (VPAs) are intelligent apps and have the potential to transform the working style and make tasks easier. But intelligent apps are not limited to only digital assistants and every software category will be integrated with AI enabled systems, from security tools to enterprise apps like ERP or marketing or customer management. Industry Research Firm Gartner states that “most of the world’s largest 200 companies to exploit intelligent apps and utilize the full toolkit of big data and analytics tools to refine their offers and improve customer experience.” Home Automation Marketers will be pleased to learn that automation will become a bigger mainstay in and throughout 2017, with advanced technology enabling the automation of previously human-exclusive tasks. It is expected that this automation will improve the productivity with skyrocket speed in white collar jobs. Automation will make the systems at home easy to operate and can be controlled remotely. 2017 is going to be a landmark year in terms of home automation. [caption id="attachment_11548" align="aligncenter" width="634"] Internet of Things for Connecting and Interacting with Everything! [/caption] Internet of Things Like 2016, Internet of Things is going to be huge in this year too. Internet of Things will continue to enhance the way to interact with things and connect with objects. Low-power and wide-area networks are expected to go live in 2017, which will extend the reach of IoT devices. These networks will be an alternative to short-range wireless technologies like Bluetooth and Wi-Fi. Thus, even hard to reach devices would also be able to be connected to the internet. This will lead telecom operators to support low-bit-rate apps. This will make a way for enabling more objects to be embedded with chips and to be connected. This will help to run devices even in remote rural natural habitats. Digital world invading the physical world Mobile devices have added technology in the life of every common man, and it has become a part of everybody’s daily life. It’s rare to see anyone without a smartphone at any given time, giving us access to practically infinite information in the real-world. Online purchasing from websites already exists today, which helps online customers to buy and pick up products from a physical retail location, but in the next level, there will be further integrations between digital and physical world. Online brands like Amazon will own more physical products, like Dash Buttons, and physical brands like Walmart will start having more digital features, like store maps and product trials. Virtual and Augmented Reality The World has witnessed thousands of VR apps and games in 2016. Oculus Rift, a VR headset, received a positive response; Pokemon Go, an AR game, received an exploding number of downloads (over 100 million). Virtual Reality and Augmented Reality has really transformed the way humans are interacting with each other, devices and the environment we experience through such interactions. AR and VR technology are giving immersing experiences and is expanding beyond visual immersion. The market for AR and VR is ready and we can expect to see VR and AR devices and apps taking off really well in 2017. Enterprises will be having ample opportunities to follow for targeted applications in 2017. Everything on Demand Thanks to brands like Uber and the resulting madness of startups that are being built on the basis of Uberification of everything. On-demand apps connect consumers with service providers. Today there is Uber kind of model for every other service. In 2017, we expect this to see this develop even further. We have thousands of apps available to us to get rides, food deliveries, and even a place to stay for the night, but soon we’ll see this evolve into even stranger territory. Krify is a multinational mobile, wearable and web app development company based in India and UK. We provide IT solutions and services to help business automate their processes and upgrade to achieve bigger business growth. Our core competency include mobile apps, wearable apps, web apps and enterprise apps. Contact today for all your IT needs. Due to the demonetization drive from the Indian government, everybody in India is facing the issues to do transactions with hard cash. Although India is on the way towards the digital payment path, but Indian government’s demonetisation drive has definitely increased the pace of change towards cashless transactions. The Indian government is also gearing up to facilitate financial transactions through mobile payment, using Aadhar number. Aadhar enabled transaction solutions like Aadhar number linked mobile payment app will help in the process of cashless payments. National Payments Corporation of India (NPCI) launched Aadhaar Payment Bridge System, which was one such system launched for electronically channelizing the Government subsidies and benefits in the Aadhaar Enabled Bank Accounts (AEBA) of the intended beneficiaries. All the efforts are being carried out to pave the path towards the cashless economy. In India, mobile payments and e-wallets are already being used by the urban population. Many people of middle and higher economic strata are using plastic money in India for various types of transactions. Many mobile payments apps are available to use for digital payments. To facilitate the micropayments and person-to-person payments, NPCI launched Unified Payment Interface (UPI), which was taken as a step towards achieving cashless economy in India. UPI is a system that enables multiple bank accounts (accounts of participating banks), banking services like fund transfer and merchant payments, all in a single mobile application. It is built on an Immediate Payment Service (IMPS) platform. Smartphone user can download and use the UPI app, if he or she has a bank account with the participating bank. UPI was launched by NPCI on 11th April 2016 and banks started uploading their UPI enabled apps on Google Play Store from 25th August 2016. How is UPI beneficial to banks? How will UPI help end consumers? Single application for accessing different ban accounts. Banks and merchants in India are trying to find out best ways to make digital payment reality in overall India. Various providers such as companies selling POS terminals (point of sale terminal – electronic device used to process card payments at retail locations), trying to find innovative ways to make cheaper card acceptance infrastructure to bring whole of India to transact online. Government’s latest move has definitely brought the digital payments in central debate. Many digital experts consider the POS system as a slower process and has less scalability. The generation of mobile payments has already started the wave of digital payment revolution in India. To facilitate online payments and transactions, payment gateway integration is essential. For most of the merchants, integration of payment gateway solution is the most challenging part. It makes easier for the customer and ensures the security of customer’s data. For merchants, it minimizes the amount of manual tasks and labor. Thus payment gateway integration allows you to accept a wide array of payments from all over the world. With the rise in digital payments, the security of consumer’s data also need extra attention. We need to build an extra secure payment ecosystem that should follow the RBI’s mobile payment guidelines as well as the strongest encryption algorithms to ensure complete security and safety of consumer’s data and mobile payment transactions. Currently, Paytm, Freecharge and Mobikwik are leading organisations of mobile payment industry, followed by new entries like Citrus Pay, Instamojo, TranServe and many more. There is still a lot to do to create a complete and vibrant mobile payment ecosystem that would help millions of merchants and consumers to accept digital cash. What to do to move India forward towards cashless economy? For more and more cashless transactions, we need more organizations to focus on more of Paytm and Free charge type of app development. To achieve the complete cashless ecosystem, we need to focus on technologies for online payment mobile apps development. Krify is a leading multinational company based in India and UK, serving customers across the world with IT solutions and services. Our core competency include mobile app, web, wearable app development and digital marketing services. Our mobility and software solutions empowers our clients to perform way ahead of competition by ideating, defining and implementing pivotal business solutions well in time. Release of Angular 2.0, Ready to create your first Angular 2 App? It is primarily maintained by Google and its first version was launched by Google in 2010 as ‘Angular web application framework’. It is used to address challenges coming across in the process of single-page applications development. Angular’s important features like data binding and dependency injection reduce the amount of code need to be written otherwise. It is an ideal partner with any kind of server technology. The resisting mismatch between static documents and dynamic applications can be solved with frameworks and a library. Frameworks – “a particular implementation of a web application, where your code fills in the details. The framework is in charge and it calls into your code when it needs something app-specific. E.g., durandal, ember, etc. A library – “a collection of functions which are useful when writing web apps. Your code is in charge and it calls into the library when it sees fit. E.g., jQuery. The approach used by Angular to minimize this resisting mismatch is by teaching the browser new syntax using a construct called ‘directives’. Forms and form validation support. Grouping of HTML into reusable components. DOM control structures for repeating, showing and hiding DOM fragments. Angular is a complete solution for building the client-side of a web application. It solved the problems encountered in the development of an emerging web. It manages all of the DOM and AJAX glue code written by you and arranges it in a well-defined structure. After the success of Angular 1, its full-platform successor, Angular -2 was released at Google Headquarters on 15th September 2016. The company’s announcement mentions, “Angular 1 first solved the problem of how to develop for an emerging web. Six years later, the challenges faced by today’s application developers, and the sophistication of the devices that applications must support, have both changed immensely”. Angular 2.0 came up with amazing new features like support for mobile development and modern browsers. Many of the core functionalities have been converted into modules. Now along with built-in libraries, third-party libraries can also be used easily. After the release of Angular 2, the Angular team is going to release the updates via three channels i.e. Major, Minor, and Patch. Major versions will introduce incompatible API changes. Minor versions will come up with the addition of backwards-compatible functionality. Patch versions will bring fixes for backwards-compatible bugs. Each Angular 2 application needs a set of components, for every screen, UI element, and route. A root component will hold all another set of components. Each component has input and output properties that are defined using property decorators. Input properties allow data flow into a component and output properties allow data flow out of the component. Input and output properties are the public API of a component. It will allow unit testing of the behaviour of the most of the part of an app without disturbing the DOM. This will make tests easier and faster. It will be easier to refactor the components. It will allow Angular applications to run completely outside of the browser on other platforms. It will allow Angular applications to run in a web worker. Angular 2 also provides such APIs, so that you can directly interact with the DOM. With Angular 2 any component can be bootstrapped as an application. Also, any component can be loaded into a router outlet. Thus you need to learn fewer APIs and it makes components more reusable. After the release of stable Angular 2.0 version, next update, Angular 2.1.0 was released as minor update and it does not contain any breaking changes. It came up as a drop-in replacement for version 2.0.x. The most recent update on 15th Nov 2016, Angular version 2.2.0 was announced as a minor release. It too does not have any breaking changes and is a drop-in replacement for 2.1.x. Now building dynamic web applications and cross-platform mobile applications will be easier and faster with the release of Angular 2. Krify has expertise in rendering and extending services for the development of Mobile Apps, Web Apps, Web-Hosting, UX & UI designs and Digital Marketing. For converting your innovative mobile app idea, contact our business analyst to make it go live. Our expert native mobile app development team is here to support your app idea and develop a robust and powerful app. What are the current trends in home based businesses? As days keeps on moving faster, the growth in the field of technology is par excellence. In the same way, business trends are taking wide turns and twists in both small scale businesses and large scale businesses. Yet 70% of people are undertaking home based businesses locally rather than going for international platform linked home businesses. But now as technology has made communications and collaboration easier through mobiles, systems and internet over the network in terms of cost and time. Success factors for Home Based Business: Businesses are currently more focused on online businesses, which helps them to connect with customer in a faster way and provide the service to them, as per the need of customers or clients depending on their business presence. What it needs to develop a home based business is the idea of a home-based work startup that would solve any of the existing problems of the consumer. It is importan to think and work in the direction that the business should be displayed in the market with reasonable cost or prices to target the potential end clients (people), in both service based businesses and product based businesses. Different types of home based businesses starts with different investment budgets and is based on various technology business trends. After setting the complete business, business owner need to have a registered domain (Home based business website development) on their own name . Low investment startups and those who planned for a maximum budget with the best idea are choosing a mobile app development around their business presence and their customer presence like iOS app development and Android apps development. Also looking for online social media presence (social media marketing) where they can improve business as well as can touch base with clients and customers in real time. Creating the business places (Google, Bing business places integration) so that customers – clients can find them using technology. Going through paid campaigns (Adwords, Social Media Campaigns) can help in spreading their business to targeted regions. The more passionate the home business people, they are looking for the best styles to evolving new home based businesses ideas and promoting styles. Who can help Home Based Businesses for to achieve success? Krify can help you to bring the best response for business development and success through the impact of digital media on folks. Get in touch with us for mobile application development and websites development for home based businesses. Our expert business analysts will bring the best suitable solution for your home-based business and startupsm to help you achieve the great success. Voice Over Internet Protocol is a group of technologies that is used for provisioning of communication services over the public internet. VoIP or Internet Telephony has helped to eradicate the drawbacks of communication through landline connection and has continued to help in improving quality of communications happening within the large as well as small enterprises. In the competitive and customer oriented environment, stellar communication is crucial to stay ahead in the business. For enhanced flexibility, improved customer service and to be innovation-driven, VoIP based solutions help streamline your business operations. VoIP mobile apps for smartphones are easy option to connect with local as well as international audio and video calls. Apart from calling, instant messaging allows to share text messages as well as images. All this happens over the internet and thus using VoIP apps help cut the cost as compared to traditional calling and connecting. VoIP apps and VoIP calling is available for all platforms. VoIP app development for Android, iOS, Windows and cross platform allows you to use VoIP apps and VoIP calling for easy and cost-effective communications. Linphone is one such multiplatform, open source VoIP SIP client, which is used by mobile app developers for Linphone apps development. Linphone apps customization can be done and built for and can be supported by platforms like, MS Windows, Mac OS X, Linux, iOS, Android, Windows, etc. SIP server is the crucial component of IP PBX (private branch exchange), a telephone switching system within an enterprise that switches calls between VoIP users on local lines. It mainly handles the VoIP call set up in the network. SIP server manages only call setup and call tear down. It does not handle transmission or reception of any audio, which is managed by media server in RTP. FreePBX is an open source graphical user interface (GUI) which manages Asterisk, a voice over IP and telephony server. Asterisk with the FreePBX front-end serves as PBX (private branch exchange), which is required for communication through audio-video calling, conference calling, text and image sharing using the internet. Using SIP telephony is the most secured communication for businesses of all size, large or small. For the high ended multimedia communication over the internet protocol i.e. for internet telephony, the business needs a customized Linphone app along with SIP server installation that include installation, setup and configuration of PBX system. This involves, installing PBX system based on CentOS7 operating system, setting up PBX system that supports ZRTP functionality, installing the matching Web GUI and configuration. Integrating VoIP technology and improving business communications is making a powerful impact on the growth of the businesses. Krify is a leading web and mobile app development company with competency in digital marketing solutions. Linphone app customisation and SIP server installation is one of our core competency and we have helped several businesses to streamline their processes and improve communications through VoIP app development. Contact us today on how VoIP technology can improve your business. What is Firebase? Firebase is back-end and cloud services supplier, Service Company based from California - San Francisco location. Usually services to the app development companies like mobile and web around the world. Firebase brands number of products for mobile - iOS app development, Android apps development, web applications by helping software developers to database maintenance, all the events analytical tracking of modules and user database in real time majorly. What spheres Firebase? Firebase is just not another analytical tool to measure apps traffic, in real-time firebase is an extra ordinary database provider associated with scalable backend for large scale applications. You can integrate with third party APIs – SMS, Mail Grids etc. You can get progressive authentication requirements - LDAP integrations, Simple logins etc. You can have your own app code computationally rigorous as server code that may can’t run on directly on normal server clients, as this code requires you to run on a trusted server. You and your clients can connect for both to your Firebase features and your server to exploit real-time features, without noisy with of rest of your application. Firebase Cloud Messaging service is the inheritor to the Google Cloud Messaging service that specially offers ready re-engage users anytime on request. May these messages can sent to the individual device, group’s devices, or even subscribed topics of devices. Firebase Analytics is open source - free app measurement solution that provide deep insight on any android, iOS or Web apps on user engagement and app usage. Firebase has a major interface of Firebase Analytics as free and infinite analytics solution provides you features with limitless reporting for up to 500 dissimilar events that you can describe using the Firebase SDK, which allows you to make well-versed decisions about performance optimizations and app #marketing. "Firebase allows you to Track everything for free..."
Sign-in workaround: We know Xcode 8 encountering with authentication error due to it not being able to carve values to the key in the simulator. "Firebase can help your then you see... once you start using!!" Whether you have an app or it is just a startup #Firebase is the best opt for any Business app. It has everything you need to make your App successful. Are you Looking to setup one Firebase account to your Business App? Get in touch with Krify’s expert team. We all know Internet Networks these days almost using the Internet protocols IP 4 or IP v6 versions in the networking stacks. Now we are discussing all about how a basic communication app development happens using the different OSI layers combination. Technically going into brief about the communication apps development between one network sources app to another network sources app on basis of the OSI model (Open Systems Interconnection) established by the International Organization of Standardization (ISO) where set of protocols are combined to architecture one to one by dividing open system into different layers as shown in following picture. Starting from Physical Layer: A bit base stuffed through data (i.e., characters, symbols – bits or images, and videos - pixelated) is in bits represented across a physical layer medium in networking apps development with standards includes IEEE 802.3 (Ethernet), IEEE 802.11 (Wireless Ethernet) regardless of networking mediums. The second most important Data Link Layer: is always responsible for linking formation of data packet delivery as an input to network layer. In social communication apps development similar to WhatsApp data link layer plays a significant role for information (data packets) identification on favoring performances of the messaging apps development by operations like sequencing messages with error check, media access management, getting and throwing acknowledgements through frames traffic control over the header popping and pushing addresses. Few protocols used alike High-Level Data Link Control (HDLC), Asynchronous Transfer Mode (ATM), Point to Point Protocol (PPP) and Frame Relay. The Network Layer: not only brands the stream of traffic routing judgments but also offers traffic control on packets routing by performing operations like logical addressing using Internet Protocol (IP addresses) and Fragmentation of packets. Network layer is supreme common network for IP addressing in Internet using devices. In Networking app development also uses similar protocols like Internet Group Message Protocol (IGMP) and Internet Control Message Protocol (ICMP). Transport layer: serves to the network layer by tanking responsibilities of messages segmentation and acknowledgement delivery to help in traffic control using sessions multiplexing. The Transport layer mainly helps in chat apps development to perform the error detection and corrections over message reorganization to ensure message sequence (and also sends the request for missing messages) as a reliable message channel. In mobile apps development using transport layer comprises with protocols like User Datagram Protocol (UDP) and Transport Control Protocol (TCP). Session is the best supporting security supplier on establishing and terminating the interactive messages (information) interchange in any session based apps development usually take care by the session layer using common protocols like NetBIOS and Named Pipes. Yup! The key of machine level languages apps development is - ASCII, - EBCDIC, - Unicode, is character code basically translations done using presentation layer with services like data conversion, encryption and compression. All these through Transport Layer Security (TLS), Secure Sockets Layer (SSL) and Multipurpose Internet Mail Extensions (MIME). Different hangout kind chat apps development functionalities are hang on the application layer which allows the application for resource sharing remotely for file access, printer access in the network level management, and application layer is important layer for email integrated apps development (electronic messaging). The application layer protocols familiarly for common Internet apps development includes the Hypertext Transfer Protocol (HTTP), File Transfer Protocol (FTP), Simple Mail Transfer Protocol (SMTP) and Domain Name Service (DNS). Now we are approaching the Best TCP/IP Light Weight Protocol – MQTT over Eclipse Mosquitto: What is MQTT? The word MQTT – Abbreviates as Message Queuing Telemetry Transport (MQTT) officially called ‘MQ Telemetry Transport’. The MQTT is a light weight message protocol used for queuing of message resources constrained of network users. Progression of MQ Telemetry Transport: MQ - offers the message queuing i.e. lining up of data packets from one source to another source over the missionary equipment’s at network level packet transmission. Telemetry’ is the high end auto measurement & wireless transmission of data from remote sources. Suppose like Sensors at different sources with measure of electrical data (current, voltage), physical data (pressure, temperature) and all these are measured along with timing data info under a multiplexer procedures according to user specifications And the word Transport’ we are well known of packets transmission ( delivering messages – receiver to sender via network) works by using Transmission Control Protocol (TCP) over the network layer with the help of Internet protocols in IOT of applications. Yeah its sound’s a bit new Telemetry Telemetry is the automatic measurement and wireless transmission of data from remote sources. In general, telemetry works in the following way: (such as voltage or current) or (such as temperature or pressure). These measurements are converted to specific electrical voltages. The voltages, into a single data stream for transmission to a remote receiver. Upon reception, the data stream is separated into its original components and the data is displayed and. “MQTT is a connective protocol complete machine-to-machine (M2M) protocol / i.e., Internet of Things protocol" - with auto message updates! What MQTT Offers in apps development? MQTT Real Environments: MQTT apps works to auto measure and deliver the messages (alerts) in a way initiate or obtain (Send/Receive) on different scenarios depends on the mobile application using MQTT clients. MQTT offers device applications development given by the Quality of Service (QoS) with a promise between sender and receiver message concerning the guarantee of delivering a message over three different agreements. By agreeing this clients messages are delivered rendering to the best efforts of the basic Internet Protocol network. i.e., Message loss might occur. The quality of service is with interactive ambient sensor data. By agreeing this clients messages are assured to arrive but duplicates might occur. By agreeing this clients messages are guaranteed to arrive precisely once. Application development approaches in MQTT: MQTT machine apps setup follows a few tactics in communication providence over the network on both cloud and direct communications applications. i.e. MQTT Connect: Client need to wait and connect server for a connection establishment to serve messages. MQTT Disconnect: Client wait for until they done (finish) communication or any other work. So far the MQTT TCP/IP session is disconnected. MQTT Subscribe: Client need request server to let the client subscribe to the list or one topics (scenario for an instance weather reporting messages). MQTT Unsubscribe:Client need to request the server to let remove from subscribed list or group (to unsubscribe) in different scenarios. MQTT Publish: Client returns immediately to application thread after passing request to the MQTT client. Get connected with us for more information – IOT, Enterprise chat applications similar to Google Hangouts, mailing system using high end, open source servers and protocols’ from experienced developers for you. For every on demand services provider startups it’s essential to have an Interconnect between an owners and workers - vice versa, and the medium is going to be Mobile App. So it’s being a primary step to implement any startups idea as an on demand service provider. Planning up idea with things really adds a valued output with following steps before development process starts. What are must have features in ON DEMAND APPS? As technology grown up day by day people are fed up with shortcuts in everything so positively your app should have functions like follows! “We build you a luxurious quality application for your business by creating an additional delight factors to your idea and wisdom.” Get in touch for On Demand Apps Development by the experienced On Demand App Developers from US, UK and India who serving global clients on app needs around the world. "The day of the romance is call as Valentine's Day. Named for a Christian victim as the beginning of his character for believing in the significance of love." All these are went off as a history. Now the new generation era changed all the things by replacing one by one starting from a gift we share with the partner – Valentine :P. Technology is playing the most important role all the way for every single valentine to find their partner valentine to celebrate the day. How Valentine 2017 goanna changed? Yes, the same as you guess. Greeting cards are now changed to WhatsApp forward messages to forward to valentine. Yes, the sketch of art – Photo greeting cards are changed to Hike Stickers for wishing the valentine. Yes, the most delicious food Candies and Chocolates are now turning into the virtual and Google Android operating system versions, to knack the valentine with surprise. Yes, the gifts to share are now out of box, because firstly prices went very high and secondly people are more inclined towards creativity. Yes, the flower are also being replaced now with saplings or plants, as people are becoming more aware about global warming and environment conservation. Of course all these are applicable to true valentines. So… how a single boy or a single girl will think to celebrate the 2017 valentine day. Well, as every single boy and girl look for a valentine to seed new relations, some are for a short while and some are long-lasting. With the passing days, technology brought a lot of great and innovative things, which will help people to find their valentine in 2017. Here I can list a few!! Hike Matchup! Hikers know that Hike is providing a new option called HIKEUP to find the valentine on with matching interest of both. Hub for Singles! Find through tech hubs where a bunch of singles used to find through chat, text, call, video calls, and many more. Facebook! Finding new friends is now easier than roaming on roads, if you are aware of Facebook groups to get in touch with the people, someone around us as well as far from us. Join singles' groups and find who best suits you. Instagram and Twitter! Oooo these are one of the top social media networks making us to follow-up someone to get in touch around. All of these are the top social media application creating a new path with to connect with people. But still the new generations needs a bit more interactive applications as day to day technology and the way we interact are changing and gaining new heights. All together the latest solution for searching Valentine on this Valentine day is dating apps which are very suitable for the current generation for welcoming new relationships with fresh energies. Here are few top dating application you need to install: Relish Dating Application: Relish is the best way to bond with interesting new persons around you! RELISH, helps you discover that special person using shortened search conditions and a chat system through photo sharing, RELISH will reveal that "Happiness is closer than you think." Get it here! JLike Dating Application: JLike is a Jewish dating app hosting users from all over the world! Connect with thousands of members in your area and around the world browse photos, email, chat, meet up and more. users from all over the world! Connect with thousands of members in your area and around the world browse photos, email, chat, meet up and more. Get it here! Why one should use a dating app to find their Valentine? Today people are having lack of time, so single youths don't want to go for lengthy arrangements to find their life partner. We all know that instant connect and instant results are now the new mantra which is possible through global connectivity and viral digital network connecting people nearby as well as across the globe. The concept of get-together with someone special in the real time is continuously desired by all. In 2017 folks having ultra-fast mobiles with double the connectivity speed i.e., 4G and 5G networks can enjoy the fabulous advantages through location-enabled services (GPS Networks). The process goes on through interests, hobbies...etc. Initially the user start surfing by selecting their tastes, interests, hobbies… etc. applying filter option match with nearby locations. Once you done with filtering options if different people’s profiles will be visible with a picture. Finally, now the dating apps are here to promote you. As soon as the app admin confirms about your profile, you will start getting notification, if someone likes your profile or text you. If both of them are interested and like each other, then its’ a time to start conversation and take the relationship to the next stage after meeting through the mobile phone dating applications. Are you a tech savvy looking for mobile app development? Here is some stuff for you. The market for a mobile app, which is goanna be a very big thing, to grow. Already the figure of mobile apps is doubled in the markets of Android Play Store, iOS App Store and Windows stores, around 3 billion so far. “Well, Get in touch with us. We have a great team for you who are very professional and expert in the design and development of mobile apps and web application as well. We also offer digital marketing and SEO services to help you promote your business and app with the help of our digital marketing specialists. The explosion of mobile computing has led to the growth of chat and messaging apps with a faster pace than mobile. As investors are finding great potential for chat apps in dominating the new marketing landscape, the demand for WhatsApp clone app development is growing hugely. People are preferring WhatsApp like applications for private as well as social chat in forms of group chat. Statistics says that digital communication has become all about messaging apps. People are migrating from social media networks like Facebook to micro-networks like WhatsApp, WeChat, Viber etc. for day-to-day communication. Lately, the messenger apps movement is growing in markets like Asia, Europe and India and it will continue to grow. Messaging apps are top global apps dominating the mobile usage session. [caption id="attachment_11517" align="aligncenter" width="680"] Source: eMarketer.com[/caption] Till date Whatsapp is the most pursued messaging application and has inspired for the creation of clones. But many of such cloning attempts fails as it don’t match with the standards of WhatsApp. To develop a Whatsapp like application, one needs to understand the technicalities and functioning mechanism of the app. Whatsapp is a real-time messaging application that uses Ejabberd (XMPP) server for transferring instant messages between two or more users. Whatsapp has been programmed by using programming language ERLANG and is powered by signaling technologies. This makes WhatsApp compatible for server-side chat history, group chats, user avatars and attachments. However, for building a WhatsApp like messaging app, a lot of efforts were taken which include modifications in Ejabberd for an in-house protocol from XMPP, code restructuring and incorporating some crucial changes in Erlang. All such important changes led to achieving optimized server performance. The plus point of using ERLANG is that it helps in pushing changes to live implementation. [caption id="attachment_11536" align="aligncenter" width="567"] WhatsApp powered by XMPP server[/caption] WhatsApp uses XMPP for protocol transfer and to ensure network security, it uses DSL for secure private data transfer. The mechanism is that when the message is sent, it is queued on the server and the message waits till recipient reconnects to the server to receive the message. Once the message is delivered, it gets deleted from server memory. One-to-one chatting and group chatting. User can update their profile with status message, contact details, profile picture, avatar. Media sharing in form of photos, voice recordings, videos, without any limits. Easy to create group chat and so is to leave the chat. Video calling with the simple interface which facilitates easy camera switching, muting, etc. Easy notifications on receipt of chat messages, incoming calls and other custom alerts. Krify also offers WhatsApp like clone app for enterprises which will provide add-ons for compliance, data protection management, security and third party software integrations. Such instant messaging apps for enterprises will come with extra security having client and server side encryption, secret chat and device ID database lock. Contact us today for an intuitive and fast messaging app solution for your business or enterprise as well as for commercial chatting app solution. It plays well with HTML5. It gives easy access to scripts. For tablet or computer, WordPress is good enough and has more visually appealing and conceptual themes as compared to Bootstrap. Wordpress websites use more memory while loading, due to the high-end designs of Wordpress, which slows down the loading speed of the website on phone or other mobile devices. Bootstrap, being equally good, best suited for mobile phones and all small screen devices. Based on the size of the viewing window, Bootstrap’s dynamic design allows text and the page changes. So you don’t need to use side scroll while using the site on the phone, but scrolling up and down is there to browse the site completely. As Bootstrap uses less memory for loading as compared to WordPress, it helps in better loading performance on mobile devices. Start Bootstrap provides open source and easy to use the collection of Bootstrap themes and templates, which can be used for website development and can also be used commercially. It provides themes in various categories such as full websites, one-page websites, landing pages, blogs, portfolios, e-commerce, admin and dashboard, starter template and many more. Wrap Bootstrap is a marketplace for premium templates and themes of Bootstrap. It provides you a single but solid foundation for developing impressive and responsive websites and web applications. It also allows designers to upload and sell their customized default styles and earn the percentage on each sale. Material Design for Bootstrap (MDB) is a powerful Material Design UI kit for the Bootstrap framework. MDB is a theme built using Bootstrap 3, which implements Google’s material design. The latest version for MDB is version 4.2.0. It offers Bootstrap elements dipped in material design that includes navbars, tabs, buttons, typography, sliders, progress bars, bootstrap ready to use layout, responsive CSS3, grid system and other things which are material design. No need to build the website from the scratch, you get a ready theme to customize and you will have the material design based UX/UI. Bootflat is an open source Flat UI kit based on Bootstrap CSS version 3.3.0 framework. It offers easier and faster ways for designers and developers to create elegant web apps. It was visioned as a stunning flat design and built with Sass 3.4.9. Bootflat uses lightweight, high-function plugins for optimum performance and keeps down the CSS and JS file sizes. Bootflat, built with mobile-first in mind, provides off screen navigation and all the widgets are compatible with all the screen sizes. Bootflat UI kit is PSD Interface Pack that includes a set of beautiful components that can be used to create beautiful websites as well as iOS/Android apps. Bootstrap’s plugins and extensions are not really limited. There are numerous free and premium extensions and add-ons available for extending Bootstrap. It comes with bundles of jQuery plugins and reusable components. Also, it gives you the choice, whether you want to use it or not. Access all the Bootstrap resources and plugins here. Bootstrap has revealed that one more major alpha release, alpha 6, before getting into the slightly more stable beta ships. There’s still more to expect around major components — the navbar, flexbox variants, utilities, and accessibility. Confused about choosing the best suited web platform for your business? Feel free to contact us. Our expert Business Analysts will help you choose the best platform to develop responsive website for your business. We offer customised web design and development services at competitive pricing. We have already associated with many of the startup organizations and helped them to get their business on world wide web. Navigate through our portfolio to have a look on our previous website development works. Over a half (55%) people say's a poor mobile app interface or experience would make them less likely to use or buy a company’s products or services. By considering all the new mobile trends here are few latest trends of mobile app designs... 1. Bigger Screens Design: The larger screens are signed to an emphasis of gesture-based navigations and the look and feel of apps make more spacious by hiding controls in contextual menus and additional content. If you reconsider mobile app screens as per older screen standards, it may be brought complexity to the whole approach of UI and UX designs. You should ready with optimistic designs for bigger screens with visual hierarchy of big bold and strong fonts that plucky enough to attract user with diffused backgrounds. 2. Simple User Interface Grouping the information in outlined boxes is making a one-tap entry point to the user with more detailed information exchange with attractive, convenient and efficient organization. Small chunks of information awareness of “cards” are easily sorted and adapted to user preferences around with a motion presence is always added advantage for your app designs. 3. Swiping Replace's Other Gestures Gesture driven navigations primarily serving the functional purpose for mobiles with a bit additions in the hardware of device manufacturing to make easier moves in-app transactions, motions, and other operations. UI that uses the wider, more intuitive range of the gestures for better UX will go to hit the highest range of success. If you want an immediate action from a user on your apps, making the bigger button is not always works, sometimes popup based buttons impact more. Now the same buttons replaced with gestures replaced to open any app, or a specific future in order to make app user life simple ;) with few fade in the background. 4. Creative Navigation and Scrolling Remember' Most of the mobile app users do not hesitate while taking a small tour through simple navigations where the Graphics will always rock, Even users stuck for a bit simply like you here while watching this... Enhances user experience with your own functionalities for your apps just like to attract users. where Long scrollings with large size images and decent font style abbreviating with an icon can finely describes the new business approaches. 5. App Functional Animation Coming to functional animation motion, just consider a business app where people can find a lot many other user needs for an instance deals and places like hospitals neat to their place, shopping places, every thing on an app. 6. Storytelling and Branding One of the first you need to do before starting a mobile app development is to tell a story to users that show case what and how your mobile is useful for them. Story telling involves from the first stage of mockups drawing followed by wire frames with an effective logo for your applications. For an instance, a logo sign capable of showing an anger expression as well as the soft expression within sec's behalf of creative branding with a clean story. 7. Increased Emphasis on Typography As we know everyone has their own hand writing, the same mobile apps forming a new strategy of own fonts for them with unique in style through motion pictures or polygon shapes or a casual font style with increased focus on selecting creative fonts. 8. Fresh Colorful Palettes The trending fast colors resurrecting from 2016. Of-course cluttering of the colors is an older fashion for mobile apps graphics designs. Most often Smart designers chooses the vibrant colors for recognized business easily. As now picking different colors are very easy with the recent photoshop and other designing tools. 9. Wearable Technology Appealing Apps Designing The faster moving trends are Wearables for the current technology is moving, world's top designers are focused on principles of the wearable apps by simple effective and small app designings different from aspects of the wearables. Preferably Gesture driven audible alerts, actions, text messages, etc. can be ordered with the eye-catchy designs with clover user interaction models. 10. Positive appeal of social media Buttons Mobile App designers are trying out for impressive ways of appearing social media buttons. As per the research on social media, utmost apps seems incomplete without a social media buttons. Whether it is the business app or game app or service app or eCommerce app there will be social media buttons for sure in any of screens available. These trends all share the common goal of making mobile apps more accessible, engaging, and easy to use as today’s consumers becoming increasingly reliant on their mobile devices at all stages of the buying journey. Google phones will now be available as ‘Google Pixel’ and its time to say bye to Google Nexus. Google has launched two new phones Pixel and Pixel XL which is giving a tough competition to popular Apple phones – iPhone 7 and iPhone 7 Plus. It is a first phone built by Google inside out i.e. its software and hardware both are built by Google. Pixel’s camera is ‘highest rated smartphone camera’. The Pixel camera captures the images as fast as you launch it and does so continuously and eliminates any shutter lag. The Launch of the camera is always fast whether it has been kept idle for long or whatever is the light level, the camera is launched with lightning speed with a quick double tap of the power button. Smartburst feature (holding down the shutter button will capture numerous photos with rapid-fire) allows to capture and select the best of shots from multiple shots. Smartburst can even select the best shot for you. Another powerhouse feature regarding camera and photos is unlimited cloud storage as Google photos and at full resolution. As per experts’ opinion, OS of Pixel – Nougat 7.1 – is the best software experience of Android. Fast, smooth, without bloatware, and software updates will be available from Google directly. Google has revealed that they will be following quarterly update cycle for Android so Pixel will get updates and enhancements four times in a year now. Google Assistant with Pixels will be launched even without touching the phone. Even if the phone is off, the assistant will come to life when you say ‘OK Google’. And if saying ‘OK Google’ all the time is weird for you, then the assistant can be launched by long-pressing the home button. Expert says Pixel is the most consistently fast phone among all Android phones. Can’t say after the long term usage but the day-to-day consistency of speed is really impressive. Switching between tasks and apps is really smooth and fast. Even if the Pixel is aesthetically neutral, it has robust specs, killer camera, super-responsive touch and screen, which makes Pixel and Pixel XL really competitive to iPhone 7. Apple Vs Android: Is iMessage Drop Out due to Google Allo? Extremely open source software’s support and availability compared to Apple. Android increasing the quality of software you may won’t find on iOS in future. Increased and secured cloud connectivity with android accounts. Simple User Interaction turning low-level user to expert level user of apps. Time to time continues android operating software updates. Vast availability of creative app developers in Android platform. Easy customizations and predefined open structures to use in coding for development. Cost of Android devices is very less compared to iPhones. Increase over Internet of things where Android helping to connect with many as an open source platform for development of new things. And more are helping android to grow their Android app base. Now in 2016 Android has an opportunity to hit increased number of app base through success over launch of Google’s Android 7 (Nougat) update as first Multitasking environment release for mobiles. How Android Challenging iOS directly? Yes! Google Android is challenging very smartly by attracting middle age people as a target for current technology changes and user behavior. You can see one of the recent apps from Google, Google Allo as one of the innovative applications which helping users to move smartly on conversations for percent crazy youth on different trends. Google’s support for Android users like Gmail accounts linking, Google Play Store, Special Google Search preference on apps and all. Google special setups on app promotions for users and app owners by supporting with Adwords. Android operating system price and thousands of free apps day to day adding on play store. Definitely, Google's reputation is one of the major reason. User friendliness is one another part of success compared to other platforms. Open Source freedom for developers and support from Google experts within less time. Customization's is helped more like another bullet point for success of apps and software through updates. Add on applications like Google SEARCH, Google MAPS, Google DOC’s sink, Google Games, Google Chrome, Google Music players and all. Stability of Apps and the Operating System on devices through performance. Still, iOS has their own advantages compared to Android Enormous app ecosystem: One of the dissimilar advantage for Apple tablet apps that popular smartphones apps are usually available the both platforms. Deeper integration with Facebook and Twitter: it is much easier to post updates with faster handling and share on social networking sites using iOS than Android platform because iOS is a bit deeply integrated. iOS Only apps: As like FaceTime, Passbook and mobile payments apps Four-sided for any of available iOS devices like 3GS, 4, 4S, 5, 6 and up, As auto free updates available on iOS depends on slight hardware functionality change. Just not like limited Android phones) Interface is protected down: There are very Limited customization options are available compared to Android like for the home screen it only rows of app icons are allowed, Any Media on iOS required to sink with iTunes…etc. and majorly users has only way to get iOS app install through from the App Store. Software upgrade: Apple suggestions on software upgrades to all Apple devices that have the capability of hardware handling to the new software. Where any iOS devices stay with frequent software features for at least two to three years. Better privacy controls: Even iOS device offers improved control over the admission of apps to the users' private information such like contacts and locations. How about Android disadvantages compared to iOS? We can directly say that the only con in Android is Massive hardware updates where one mobile to another mobile changes in very short span even a small feature is added by varying through hardware, screen sizes, device capabilities and features. What’s Apple is planning to get succeed in feature? Apple is a smart kid and who is one of teacher a lot other operating systems companies like Google, Microsoft in an advanced strategizing of technology needs. Now Apple is not concentrating on improving Apps base such a way to competition with Google, Where ‘it thinks one way smartly to move on and improve the advanced apps for iOS users with security and going to remove the similar apps already exists on iStore. Just for an instance… One of the Top messaging app iMessage is shutting down soon which is the most successful iMessage sticker packs will not be available anymore. Obviously, Apple don’t like this to do this, as it approved the app primarily. After shooting "Apple’s lawyers weren’t happy that Phoneys got through the review process," Howell wrote in a post on Medium. What is going to be the replacement for iMessage? As Apple is looking for competitor based tech apps as well as highly reputed user need apps like Google – Allo from Android base kind of messaging service app may going to release very soon as a replace for iMessgae. To Conclude: Apple’s iOS Apps development is comparatively never down unless people has intensity over iPhone, business need in iPhone trending areas like USA, UK, AU…etc. Even though there are numerous Apps in playstore while comparing with App store still the revenue of App store is high. Which shows that Appstore can give a tough competition to play store in every aspect. Who can help on what your app required for your business? Krify can help you to develop the best business suitable applications for your needs by having hands-on expert iOS app development team and Android Apps Development team with current trends. Google celebrating Google Doodle 18th Happy Birthday today with lot of confusion over the date of birth. Historically the company Google, founded by Mr. Larry Page and Mr. Sergey Brin in 1998, habitually marks it as birthday on Google homepage dated September 27. But still Google is confused to celebrate it for a regular day as it revised and celebrated on different dates in past. [caption id="attachment_10967" align="aligncenter" width="900"] Happy Birthday Google Doodle[/caption] How Google Doodle Born? Doodle invented with an idea to celebrate things in world with relatively simple decoration for the Google logo (company logo) to just to celebrate famous events. Do you know what is Doodle? Doodle is a kind name called by Google team for Google Company Logo’s designed Doodle illustrators team, Where Google illustrators team officially called as doodlers and the logo’s designed are called Google Doodle and engineers that are behind each and every doodle you see.. How do you elect which events will have doodles? Usually Googlers have regular get together to brainstorm on which events will be celebrate with doodle and they will mostly select few different concepts from numerous sources may be Googlers or Google users, which are people alike, different, honorable…etc. Who picks what doodles created by Doodlers? Again after Googlers in-brief brainstorm for event selection on which events Google celebrate and what will be the Doodle for it. Who will design doodles? Google’s creative illustrators team with engineers sink will work and design doodle behind each doodle you see in Google. What is first doodle on Google? The first best Doodle is the Burning Man festival in 1998, actually celebrated before the business was officially founded. [caption id="attachment_10970" align="aligncenter" width="1024"] Burning Man festival Doodle[/caption] Google users or public can submit ideas for doodles? The team doodle is always eager to hear ideas from Google users from mails at ‘proposals@google.com for the next best doodle idea. A drawback here is they were unable to get back to public on mails but optimistically they will read and consider every best idea from public. iOS 10 is now available for iPhone users as it was released publicly on September 13, 2016. Experts have concluded that iOS 7 was a redesign, iOS 8 was a re-architecture and iOS 9 was a rewiring. Arrival of iOS 10 has pushed all the previous updates and features a way forward that will bring a bolder, bigger and much more brilliant makeover. The first beta release was made available only to the registered developers and the first public-beta was released on July 7, 2016. Now it is available publicly that makes your iPhone “MORE PERSONAL, MORE POWERFUL, MORE PLAYFUL.” Apple is claiming iOS 10 as their biggest release yet and indeed it is. It has got many new upgradations like bolder ways in messages, photos like never before to relive the memories, reaching destinations even faster using proactive suggestions from maps. Apple has come up with so much to say about iOS 10, some of the outshining features have been listed here. iOS 10 has been designed for iPhone 5 and later, for iPad 4th generation and later, for iPad Pro range, for iPad mini 2 and later and the 6th generation iPod touch and later. iOS 10 is unfortunately not available for older iPhones, iPod touch and iPads. Most of the users are prompted automatically to upgrade, if not users can do it manually through Settings > General > Software Update. As iOS 10 is a major update release, its size is in between 600MB and 1.2GB and depends significantly on the device. Although it is a major iOS release, some isolated reports of issues are always there but not have come as a blockage for iOS 10. As Apple being safe and secure, sharing sensitive data for services like Maps and Siri, are also encrypted and safe. Now developers can jump on building powerful and intelligent apps using the all new iOS 10 SDK that includes new services and APIs that enables new categories of apps and features. This would enable iOS developers for innovative and powerful iphone apps development and iPad apps development. Now developers can extend their apps to iMessages, Siri, iMaps and Phone apps to provide more engaging functionalities and experiences like never before. iOS 10 SDK also empowers with APIs and services that has capabilities with Live Photos, HomeKit, CloudKit, CarPlay Siri Support, and many more. During the last year's #Google press event for #Nexus and the #android, they announced that there are 1.4 billion active Android devices worldwide. "We help in your idea execution and develop top-class Mobile Apps for your business growth"
Small to Big businesses are currently focusing on booming business areas, especially "On-Demand Apps Development" for their business development around the globe. Discuss your idea with us for free - chat online with us (we are humans not bot's) at right side ;) below. Send us your brief idea/requirements directly on sales@krify.com or get in touch through contact form so that we can work together. We will let you know the cost, time, opensource availability and other important factors. Why To Go For AMP – Accelerated Mobile Pages Web Development? Why #Google Showing Interest on AMP Web Pages Development? AMP Project was officially broadcasted on 7th Oct, 2015, with support by Google, WordPress, Twitter, and few other publishers and companies. Google day by day concentrating more on the AMP Pages to digitize by 2017, the open-source initiative, announced by Google in last October, that has the stated independent of “theatrically improvement on the performance of mobile web.” Google believes by creating open technical standards to boost page speed and streamlining ads (e.g., no interstitials and no pop-ups), they wish that the ecosystem can build faster, more engaging mobile web which helps to benefit everyone. Twitter Insights already stated ‘their AMP pages load fast within Twitter’ more business are now concentrating on the AMP Web Pages Development for next big success in their career. How Businesses get benefits of AMP - How Google get benefited AMP Ads? To address the benefits of Accelerated Mobile Pages shows how faster the performance is in two cases! Firstly How fast the web page is loading with all elements in web-page. Gathering of web page elements will be more clear and quicker. Secondly how faster Google Ads display resulting from the issue of payload drain caused by data gathering the ads typically carry, Ads for AMP will be able would be faster. Did AMP web Pages aided for organic search results and ranking? Defiantly from the Google search engine trends followed from 2013 insights there is a big difference in tanking for mobile friendly web pages and non-responsive web pages loading. As same there will be improved rankings possible with AMP pages in organic search results. Accordingly, Google would eventually reward AMP pages in the search results, just as it already has with “mobile friendly” websites. How to create your AMP Pages? You can create your own AMP pages for your websites by reaching a professional AMP Page Developers or Just by Learning the AMP pages development. Where can I Learn AMP pages Development? To get started for AMP pages creation you should aware of three topics followed by few development techniques. You can learn everything about AMP official website named as Project AMP Org for free. Who are professional AMP - Accelerated Mobile Page Web developers? As recent technology it is out many few are the best AMP professional developers are available currently in the web development as a AMP - Accelerated Mobile Page Development Company.